Just over the Surrey border neighbours the beautiful county of West Sussex, famous for its South Downs National Park. Among tranquil walks, stunning scenery and quaint towns, the county offers a wealth of sporting experiences and traditional British pastimes. 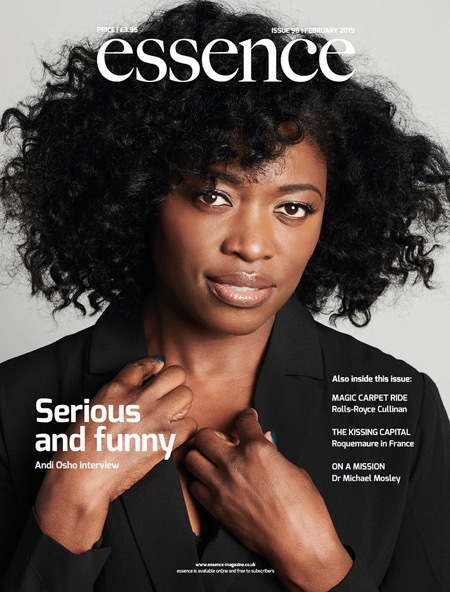 essence explored the very best on offer. There’s nowhere more welcoming or beautiful to learn polo than at The Academy at Cowdray Park Polo Club, ‘Home of British Polo’. There is no need to have riding experience before your first polo lesson which are offered to children and adults alike all year round. Polo, the ‘Game of Kings’, is the most exhilarating sport and the Academy offers the perfect transition from beginner to full blown player. The Cowdray Park Polo Club is run by Guy Verdon, a polo player with a 30-year playing career who has coached throughout the world. Keen to watch, rather than play? Cowdray Park offers a laid-back and friendly atmosphere for any of its social members, who are all welcome to watch their games. Charlotte.verdon@cowdraypolo.co.uk, telephone: 07957 468220 for further information. There are two main motorsport events for non-members. July’s 25 year-old Festival of Speed attracts about 250,000 visitors each year and is based outside Goodwood House on the Hill Climb. The Goodwood Revival is in September at the Motor Circuit. Now established for 20 years it celebrates the circuit in its heyday from 1948 to 1966. Only cars from the era can race and the entire site is dressed in the period along with all the visitors. It is one of the biggest historic motor racing events in the world. 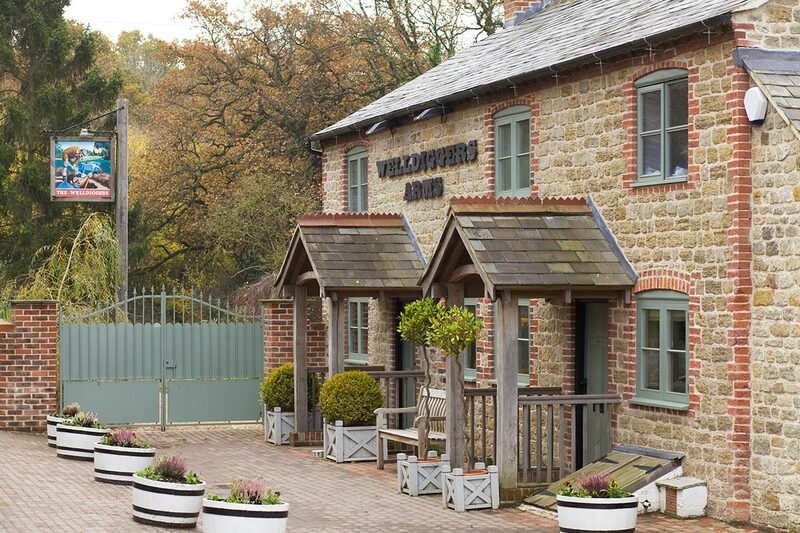 This award-winning boutique inn is surrounded by rolling hills at the foot of the South Downs, has Goodwood Estate on its doorstep, and is the perfect base to explore the countryside and absorb the tranquility of the surrounding estates. The welcoming bar has leather armchairs, open fireplaces, flagstone floors and art-filled walls, and offers an extensive range of local West Sussex ales and spirits. Its restaurant has an award-winning menu with all the game and fish provided by local suppliers and friends. The White Horse has a carefully curated wine list, ask to order from the “Red Book” of the world’s finest vintages. Each of the Inn’s bedrooms opens out onto a private courtyard with views of the Sussex countryside. 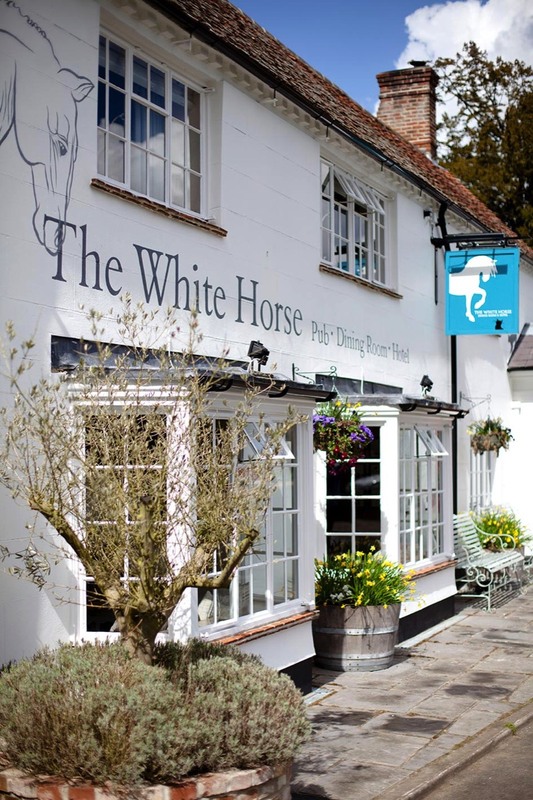 As part of its ‘Winter Breaks’ deal the dog-friendly White Horse is offering special room prices from £74.50 per person throughout February and March. Enjoy a complimentary Sipsmith Hot Gin, a delicious dinner with a loved one, snuggle up for the night in a stylish en-suite room, and wake up to a homemade breakfast for two. Ever fancied taking up one of Britain’s most traditional sporting pastimes – shooting? Hownhall Shooting School is in Henley, near Easebourne and based on the Cowdray Estate. This is a wonderfully relaxed shoot with free tea and coffee and its well renowned homemade flapjacks. Nestled in a very calming wooded quarry, with paths that lead you from one backdrop to another, Hownhall Shooting has an almost Zen like experience. Hownhall is a relaxed English sporting/game shooting orientated, practice facility. Its layout lends itself to new and seasoned shooters of all levels, building confidence for the novice and pushing the boundaries of the established. Its attention to safety and etiquette makes Hownhall the perfect venue, for that city escape or team event, with wonderful catering options and bolt on entertainment. Popular ‘have-a-go’ packages are aimed at the novice participant. The starter packages provide the beginner with a complete introduction to the sport, supplying all equipment, including the use of a gun and all safety requirements. ‘Have-a-Go’ sessions start at £65 plus VAT and one-to-one lessons for the established shot start from £115 plus VAT. Hownhall Shooting School is currently available on the Cowdray Estate website (see above) with its new website www.hownhallshooting.com going live on March 1 this year. The Welldiggers Arms is an original country pub with a spacious dining area that features large windows overlooking the South Downs. Perched on the outskirts of Petworth, the great British countryside is at the heart of this 300-year old, dog-friendly establishment. Enjoy delicious locally sourced food; from fresh seasonal game, to fresh vegetables and herbs. The extensive bar has anything from West Sussex Real Ales and fine wines to a refreshing Sussex Chilgrove Gin. There is an open kitchen, so you can watch the chefs prepare your food too!